Quebec’s liquor-commission board wants to play a bigger role in the international booze business. It announced Monday that it plans to start a new company that would buy alcohol in bulk on international markets, then distribute to clients both inside and outside Canada. The Societe des Alcools du Quebec will own half the shares in a new limited partnership and two of Quebec’s main labour unions will own the rest. 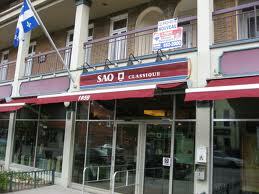 The provincial government is investing $12.5 million on behalf of the SAQ, while the unions will contribute the same amount. The liquor board says the emergence of new markets — like China, South Korea and Brazil — is driving up the price of wine.